After the ballgame we had several hours before the next bus back to New York. As it was such a beautiful night, I suggested to Curtis that we get off several stops early and walk the rest of the way to Union Station so we could enjoy seeing the city lit up in night lights, and he agreed. 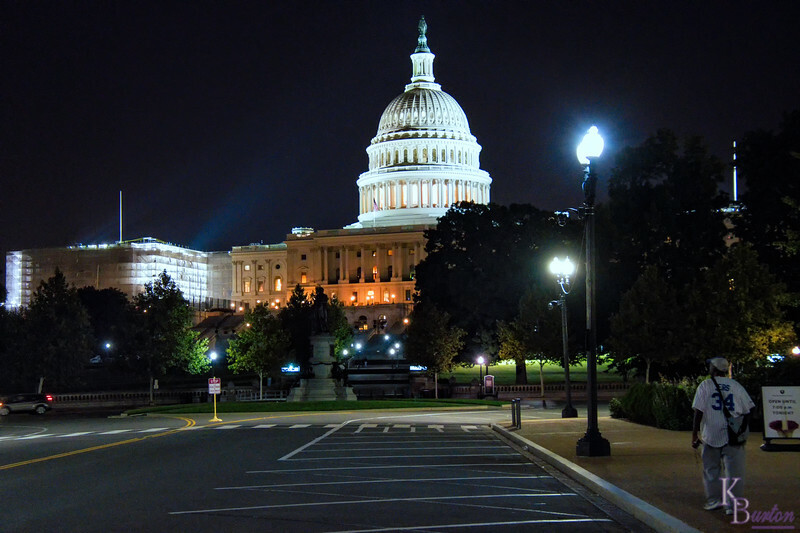 Here as we approached Capital Hill again, this time lit up beautifully in night lights, I slowed my pace so Curtis could get ahead of me, allowing me to frame him nicely in this shot. Could not have gotten this shot with my old D300. Never never ever in a million years.